My Little Magazine: 60 and Still the Most Thrilling of It All! What differentiates an ordinary crime thriller from a piece of theatrical history that has captivated audience, retained its original flavour and overwhelming suspense for six decades over 24,000 performances? Two words. Agatha Christie. Period. Written by the greatest crime writers of all times, the Mousetrap, West End’s longest running whodunit is currently in its 60th year in 2012. 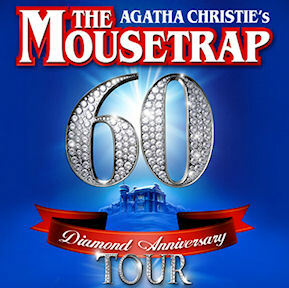 What started as a 30 minutes radio play called Three Blind Mice on BBC and evolved as the Mousetrap, has mesmerised thousands of theatre lovers over the years. Although periodically the cast is changed, bringing in freshness and variation to the play, the basic structure and treatment of the two-hour high-intensity drama remains unaltered. 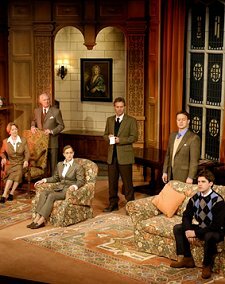 And so enthralling is the experience that the audience spontaneously engages and warms up to the characters, almost trying to solve the country house murder mystery as the scenes unfold. The setting is the Great Hall of Monkswell Manor in Berkshire soon to be cut off from the rest of the world due to an impending snowstorm. The curtain is raised with the announcement that a murder has been committed in Paddington. The Police is looking for the suspect on the run dressed in a coat and a hat. The long opening scene sets the pace as each guest arrives shaking snow from his/her hat and winter coats, blissfully unaware that they and the young proprietors of the Manor will soon fall under the deepest suspicion of guilt and threat of sudden death. The action kicks into gear when the earnest Detective Sergeant Trotter arrives with the disquieting news that the suspect who committed the London murder may be amongst the guests of the now snowed-in Manor. Furthermore, clues carelessly discarded now point to the Manor as the killer's next stopping place in pursuit of two more victims of vengeance . But who are they? No one knows. The lurking danger is well enhanced by a realistic rural English Manor with doorways, staircases, scones and dim lights that accentuate the suspense as the tension builds and the secret finally unlocks. By tradition, at the end of each performance, the audience is asked not to reveal the identity of the killer to anyone outside the theatre to ensure that the climax of the play is not divulged and future productions remain as mysterious as ever. Mousetrap comes forth as a beautifully preserved example of a country house murder mystery and the cast does excellent justice to Agatha Christie's characters. Needless to say, the production's historic credentials make the experience both entertaining and exciting right till the end.